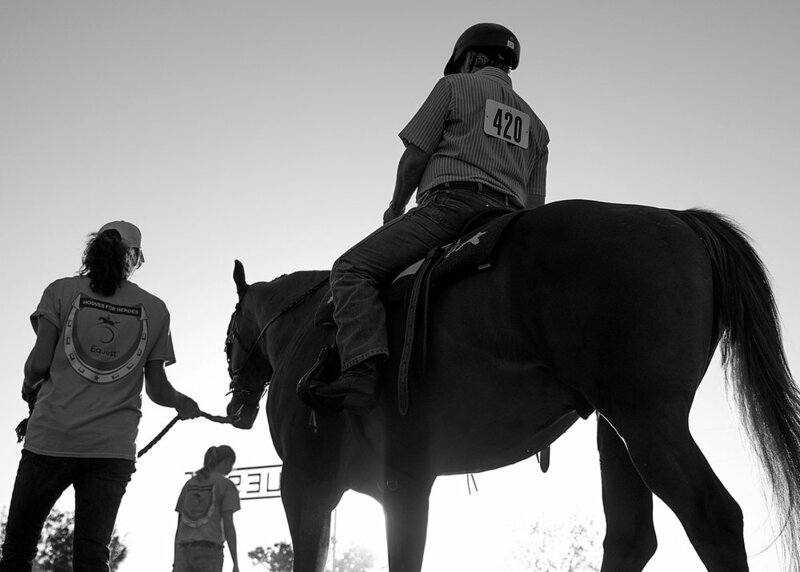 Equest's HOOVES FOR HEROES empowers veterans and military families to take charge of their civilian transitions and assume new roles as civic leaders. Thanks to generous grant funding, charitable donations and underwriting, our Equest Veterans Program services are offered at no cost to active duty service personnel, members of the Guard or Reserve, or any veteran of the U.S. Armed Forces, and their immediate family members. Participants spend an afternoon learning the basics of ground handling plus enjoy fun and insightful team building activities -as part of the herd. It is a family friendly introduction to the power of horses. Equest Veterans Program HOOVES FOR HEROES participants join with fellow Veterans and military spouses to learn mounted equestrian skill development and progression while building meaningful relationships with their horses and each other. Most volunteers assisting with this program are also Veterans or Armed Forces family members. Clients learn to drive a horse drawn carriage which results in motor-sensory skill development and strengthening. Drivers master this task with precision and purpose. Hippotherapy is a unique form of physical, occupational, and speech therapy using the movement of the horse to accomplish therapy treatment goals. Many of our clients find EFC uniquely suited for achieving enhanced emotional wellness and a more satisfying life. Working with a licensed mental health professional, an equine specialist and one or more horses, clients work towards their goals. Many develop a deeper self-awareness, improved self-efficacy, richer interpersonal relationships and greater resilience in the face of life's challenges. 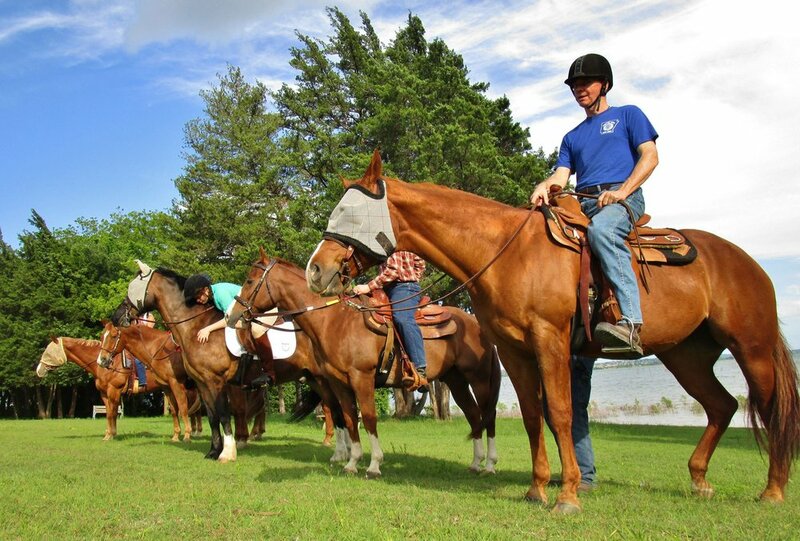 If you're interested in becoming a Hooves for Heroes client or volunteer, please contact Veterans Manager Susannah Denney at sdenney@equest.org or (972) 41-1099, ext. 212. To learn more about counseling services, please contact Counseling Program Manager Leslie West at lwest@equest.org or (469) 227-0740. Since 2014, Equest has been a proud non profit partner of Carry The Load. Equest partners with several Veterans’ Service Organizations (VSOs) and resource providers to help address individual reintegration needs outside the scope of the Equest Veterans Program, HOOVES FOR HEROES. By working together, veterans have access to a variety of organizations devoted to improving wellness across multiple aspects of life. 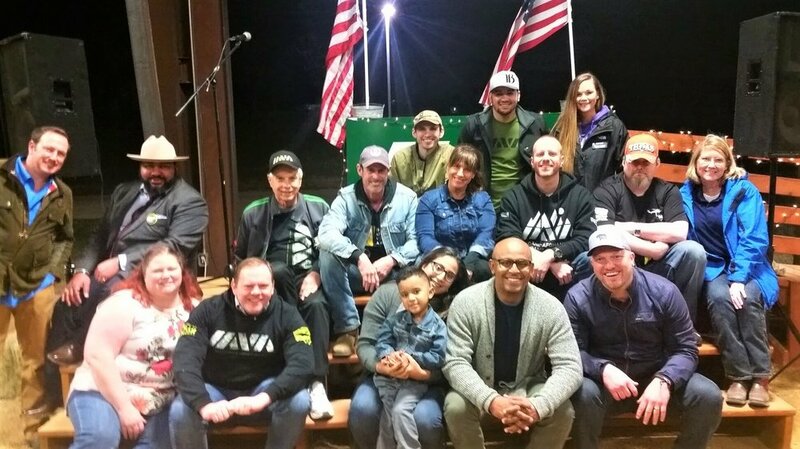 Together, Equest and our partner VSOs are collaborating to equip our military heroes and their families for long-term, productive, community engagement. If you're interested in partnering with Hooves for Heroes, please contact Jeff Hensley at jhensley@equest.org or (972) 412-1099, ext. 220.